Last chance to save on Early Bird Admission Tickets! We say the Early Bird gets the best deal. For the next four days, adult admission tickets are available online for just $7 using code APRIL. Offer only available online at Etix.com. Price does not include online convenience fee. Click here to see the list of Advance and Regular Gate Admission Prices. Click here for our list of Special Admission Days for 2017. 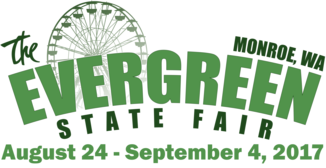 Etix is the only Official Online Provider of tickets for the Evergreen State Fair.